Positively a 10 location with Lake views & #12 island green plus #13 tee boxes on the Championship Lone Tree Golf Course. Many upgrades include 9 ft ceilings, 3 bedrooms + office with glass double French doors, maple raised panel cabinets, Corian counters & sink, Stainless Steel appliances, gas range, tile & Berber carpeting. 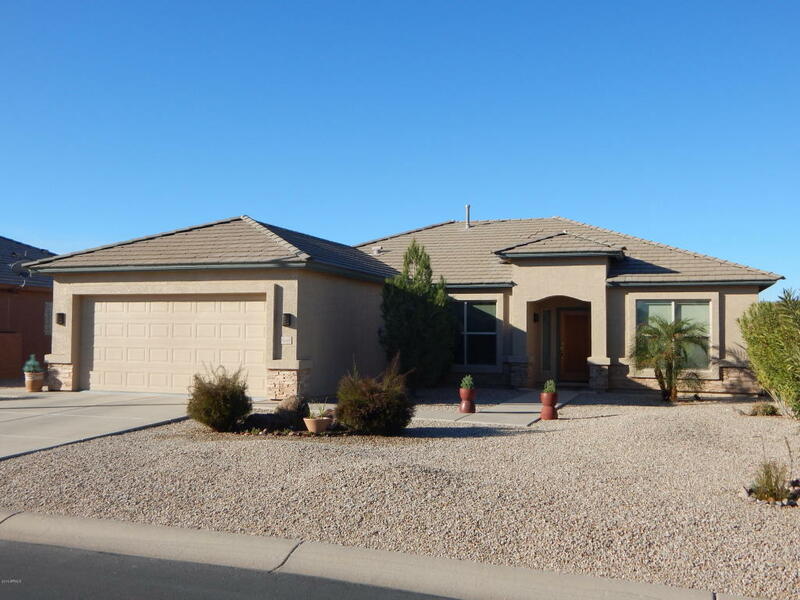 This home shows like a model and has been meticulously cared for by the original owner. Lake/golf views from nook, grt room, guest-MBR bdrms & patio. Clothes washer/dryer & refrig to stay. Visit the amazing community center with two heated pool, spa, ballroom, fitness center, pickleball, billiards, media center/library, computer club, crafts and many activities. Close to medical, 3 grocery stores, shopping, freeways, etc. Sprouts opening soon-Gilbert & Ocotillo.